The state of Kerala is a mosaic of coconut plantations, paddy fields, beaches and back waters. But despite this rich nature, many rural families have poor livelihoods. It is largely the women who earn additional income that sends their children to school. Like Saritha Biju from the village of Kanjiramattom who does herself and her family proud by tailoring beautiful products for Kara Weaves. Saritha is 33 years of age and has two children, a six year old daughter and a son aged three. She got married at the age of 24 and she remembers her wedding day as a very happy one. Saritha was lucky to marry into a supportive family and she experiences the excitement and fulfillment of being a spouse, mother and tailor. 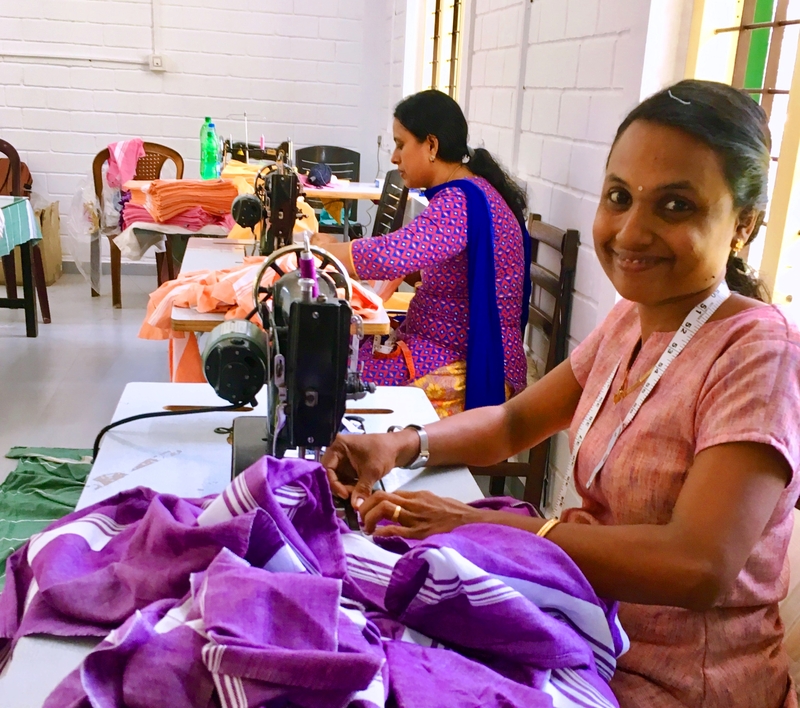 Saritha shines when she talks to the Women on Wings team that visits the tailoring unit in a lush green village at about an hour’s drive from Kochi airport. Saritha cannot remember dreaming big for herself as a child. She led a happy life and went to school till pre-degree. Upon asking what dreams she has for herself today, she gives the Women on Wings team her brightest smile and replies without hesitation: “Master tailor, definitely!” Saritha is one of so many rural women who make a change for themselves and their families, thanks to the income their jobs provide. Saritha is a true agent of change and a role model for her children and other women in her community.